If you’re a woman, or girl for that matter, who enjoys having painted fingernails – well, this post is for you! 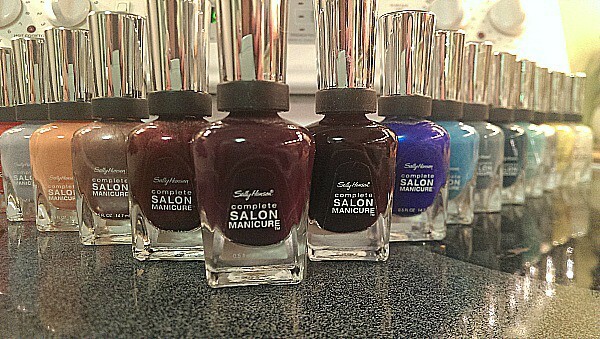 I would like to profess my love for Sally Hansen Complete Salon Manicure nail polish! Let me start by saying that, yes, I have been the route of going to a nail salon and getting simple manicures (just grooming and painting my nails) and I’ve also gotten artificial tips applied and maintained. I honestly have not really enjoyed this process. In order to keep up with salon manicures, you need to make a spot in your schedule, go out to the salon, possibly wait your turn, get your manicure and of course pay for it. Now, in the scheme of things, this isn’t such a bad thing to have to do. What female doesn’t love being pampered? 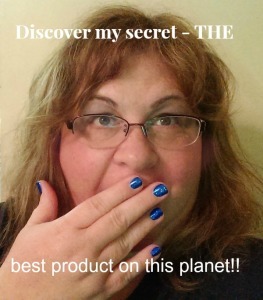 But, if you can do your own nails in the privacy of your own home, for SO much cheaper, anytime you so desire – well, I kind of like this option. Back in the day, I hated painting my nails. Inevitably, the polish would chip within a day or two and it ended up being so much more of a chore than it was worth. Nail polishes nowadays are so much better than they used to be! There is every color imaginable and the quality of many of the brands out there is just so much better! However, as I said above, my personal preference for the last few years has been Sally Hansen Complete Salon Manicure nail polish. I have found this brand/type pretty readily at places such as CVS, Walmart and Target AND there is a great variety of beautiful colors to choose from! One thing I love about this nail polish is the way it goes on your nails. To me, it almost looks like wall paint when it is being applied – that’s how effective it is in painting your nails. So, I usually paint two coats to each fingernail when I paint my nails with this nail polish. 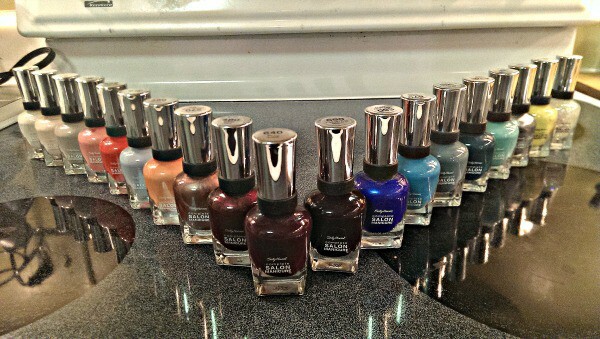 In my experience, Sally Hansen Complete Salon Manicure nail polish looks great for 1 and a half to 2 weeks! Keep in mind, I am not as domestic as my sister Pam, so I don’t wash as many dishes as she does – so that may play a part in how long my home manicures last! 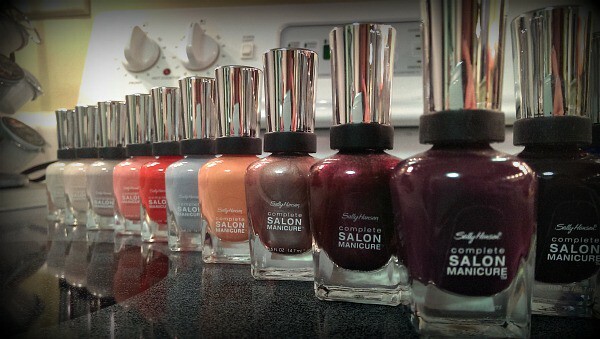 Before the holidays, just for the heck of it, I wrote to Sally Hansen to ask if I could write a post about my beloved nail polish for maybe some free polish. They immediately wrote me back, asked for my contact information and within about a week, a package was delivered to my home with 6 new and beautiful bottles of their polish in colors that I didn’t already have! Score! Well, there is only so much one can say about a great nail polish, so I guess I have said my peace (or is it piece?) – anyway….if you paint your own nails and you’re frustrated with the types of nail polish you have been using, give Sally Hansen Complete Salon Manicure a try! If you’re tired of spending around $25 or more every 2-3 weeks at the nail salon – give Sally Hansen Complete Salon Manicure a try! Great review Terri; I totally agree with you. You all gave me 2 bottles of it for my birthday and it does go on much easier and lasts a lot longer than any other polish I’ve used!! I haven’t been able to use it for a while because of my wrist–darn!! !